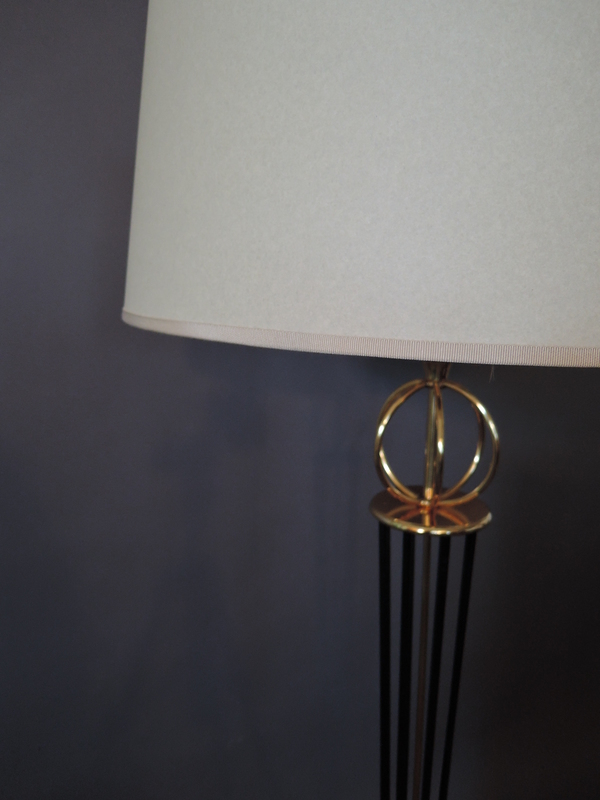 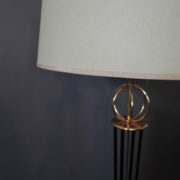 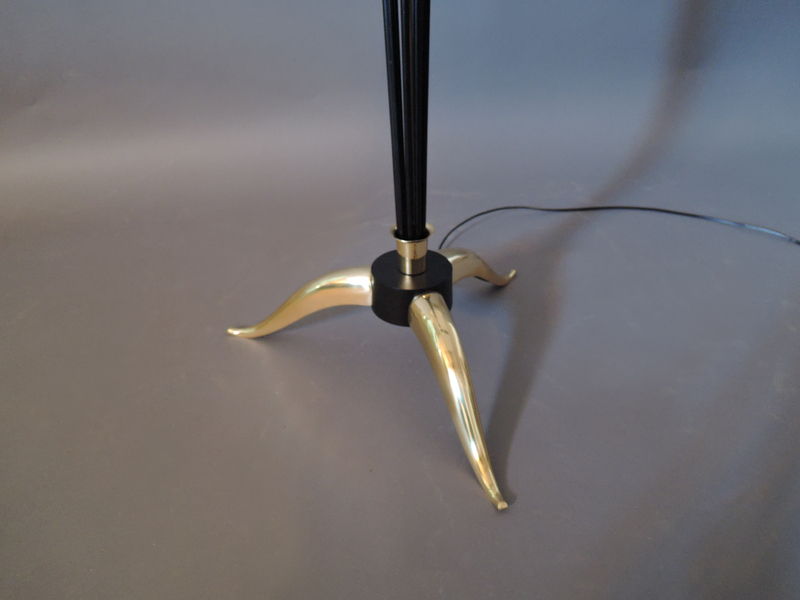 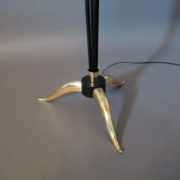 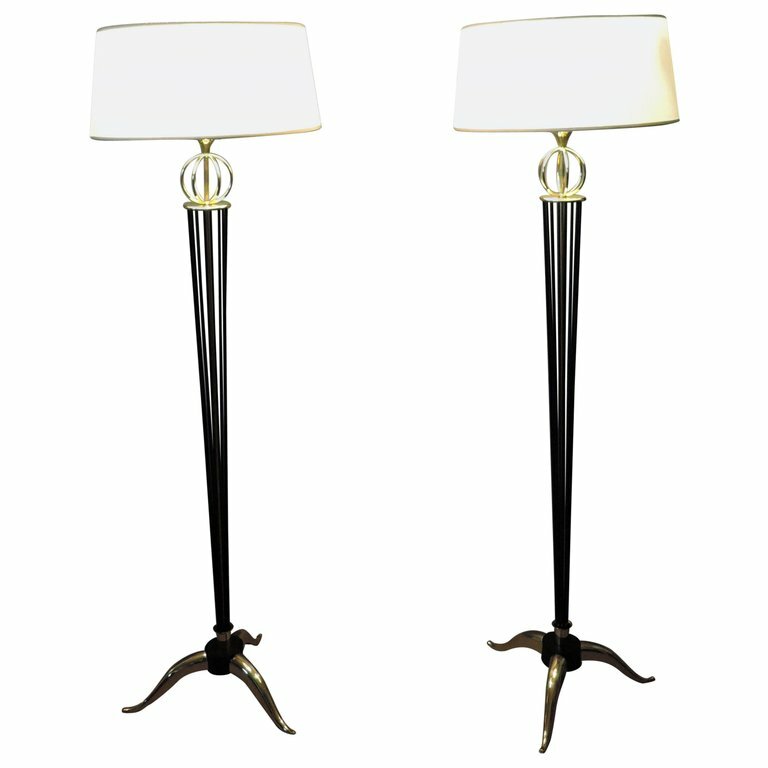 With re-polished brass tripod bases and mounts, black lacquered stems and new shades. 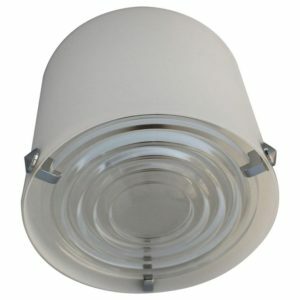 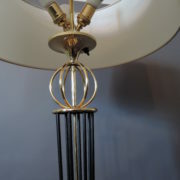 US re-wired, possibility to turn on 1, 2 or all 3 bulbs. 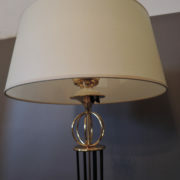 Good re-polished, re-wired, new shades. 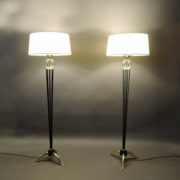 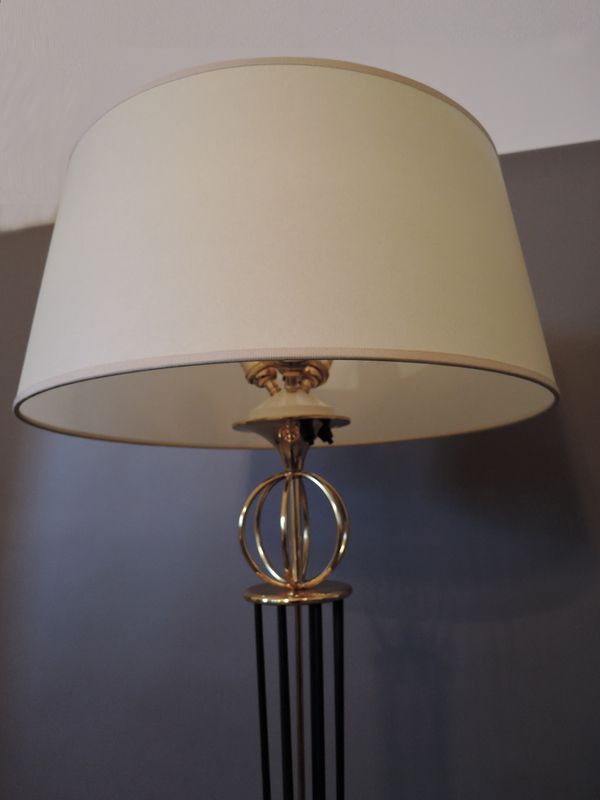 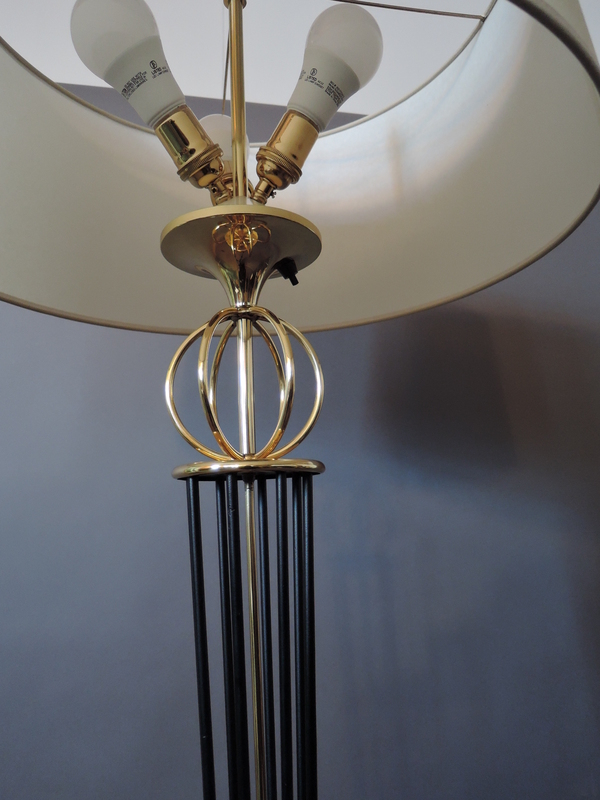 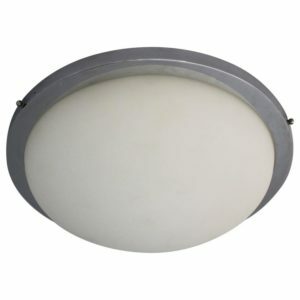 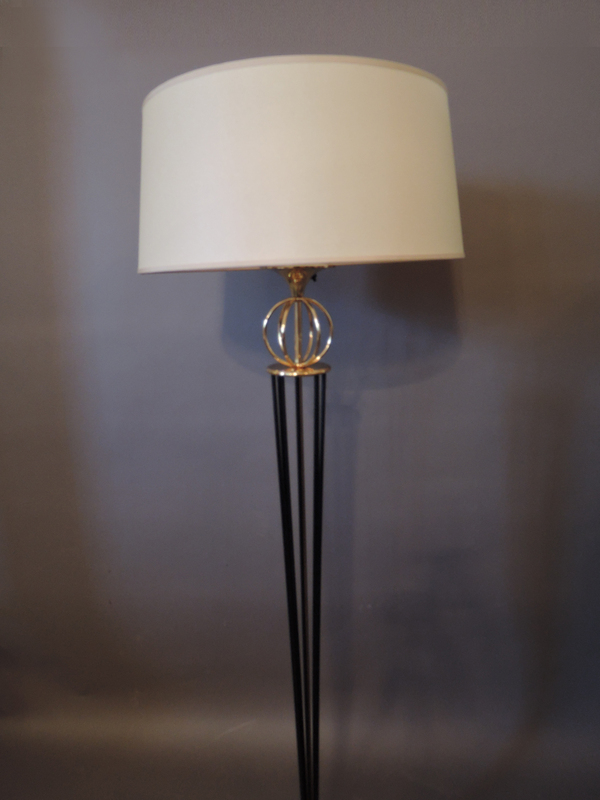 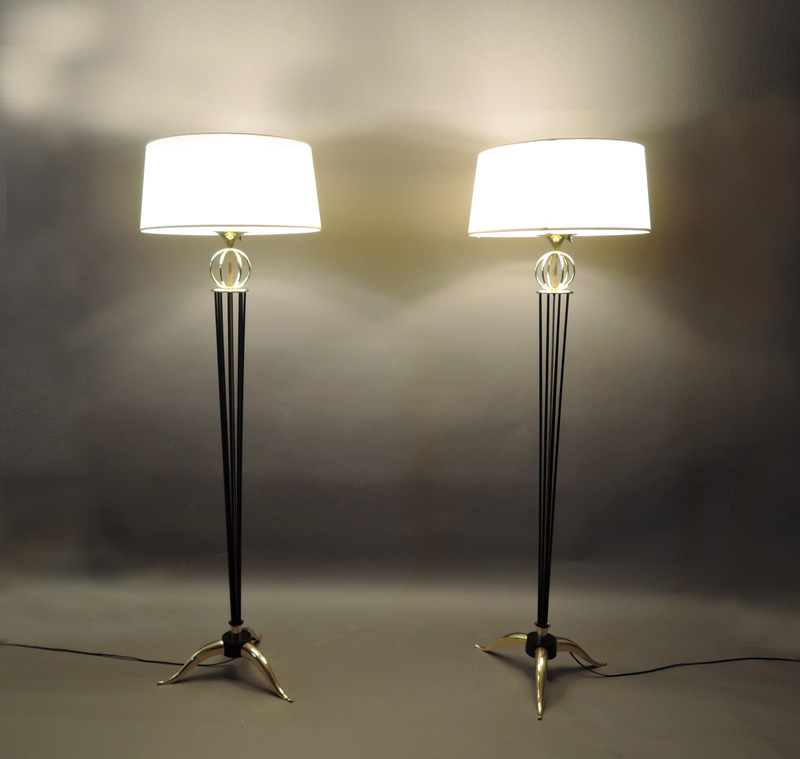 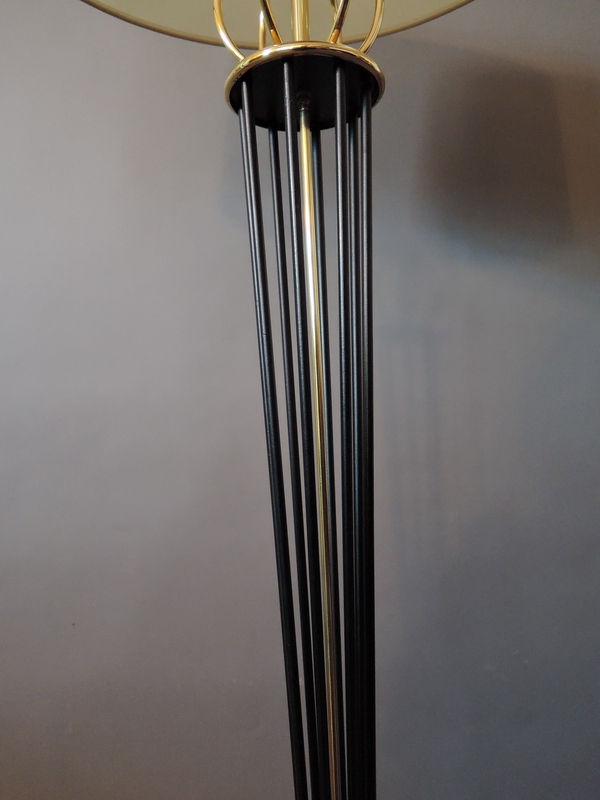 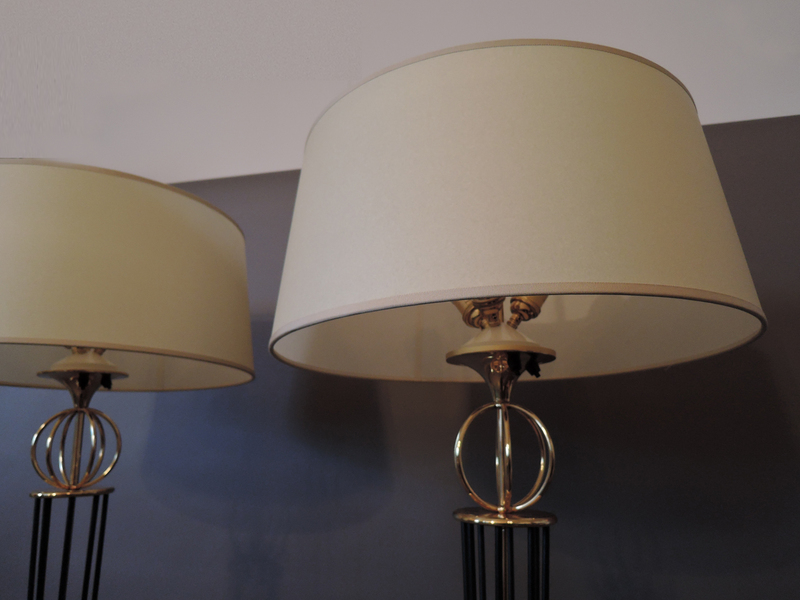 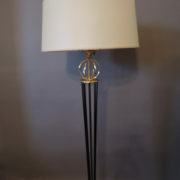 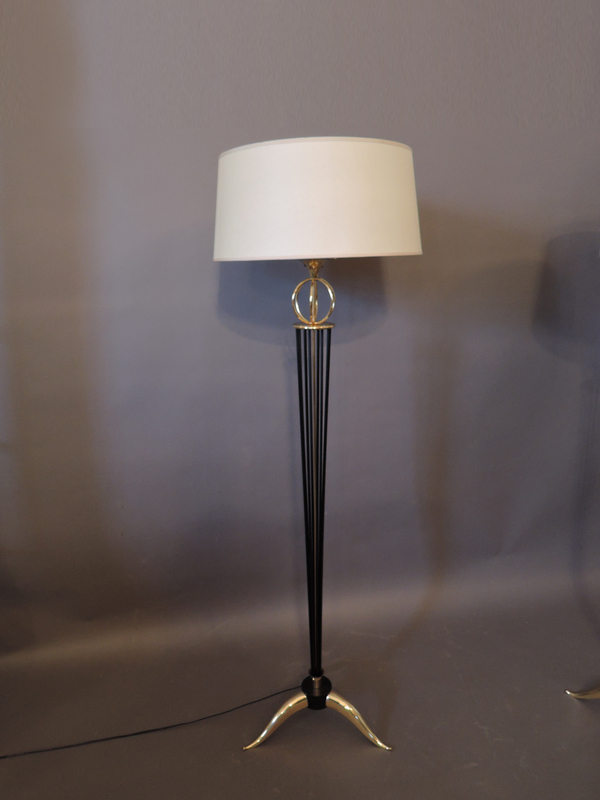 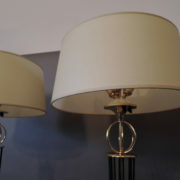 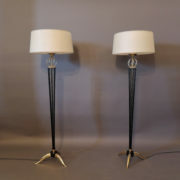 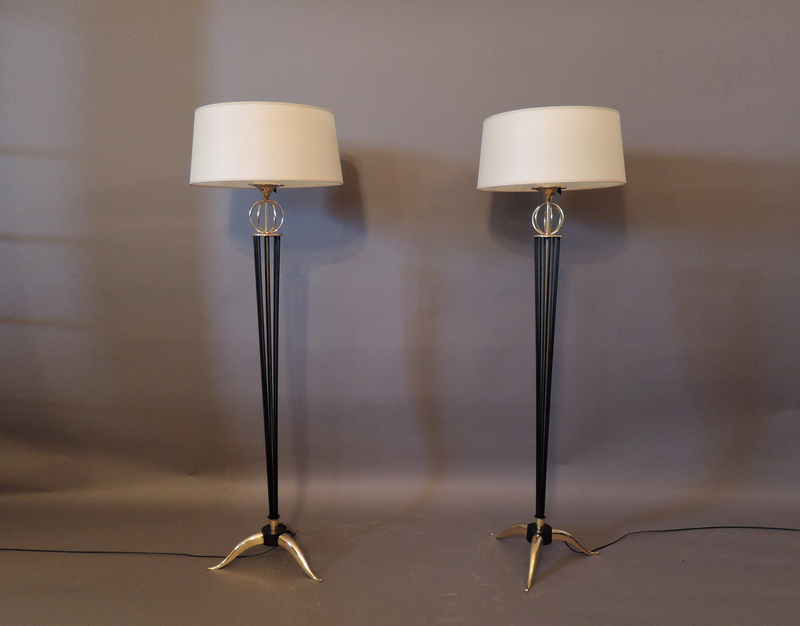 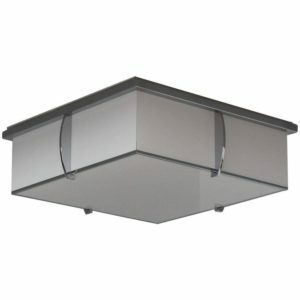 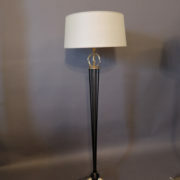 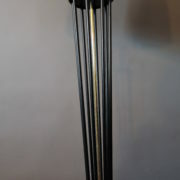 Soyez le premier à laisser votre avis sur “Pair of French Midcentury Floor Lamp by Arlus” Annuler la réponse.